I had a most interesting spiritual experience on Wednesday afternoon. I was making my way down from Hollywood to the Pacific Coast Highway and Duke's Barefoot Bar in Malibu (it used to be the old "Malibu Sea Lion" for you more "seasoned" citizens!). I was heading out that way in order to meet a couple of old friends there for a little "farewell party" and to watch the Lakers smoke "Los Suns" to go up 2-0 in the Best-of-Seven Western Conference Finals. I had some time to kill, so I thought I'd stop at whatever of my old haunts called-out to me...places I may like to see for one last time before we leave next week. Thanks to John Adams for setting it all up, to Mike "Sacco" Sapelli for coming all the way out from Thousand Oaks - and to my dear Jaime Holmes for coming out to say goodbye. Oh...and a special "get well" shout-out to Franz Neuwirth who drooped his Harley on the way to meet us and got to take a nice ride in a helicopter to the E.R. at UCLA! Feel better, Brother Franz! Anyway...as I'm heading North from "The Incline" in Santa Monica and up the PCH, for some kind of almost mystically magnetic reason, I turned right off of the Highway to head up Sunset Blvd. and see the Self-Realization Fellowship Lake Shrine. It had always been a place in my "yoot" that consistently seemed to have a magnetic calling for me. As a young teenager, I reckon that it was about the same time I was serving as an Acolyte at St. Bede's Episcopal Church in Mar Vista (under the wing of Fr. Joseph Reeves, who was a wonderful mentor and friend! Having a crush on his daughter, Becky didn't hurt my relationship to that church, either!) - I would often ride my bike from my home in Mar Vista up the PCH, and (for some unknown reason!!!) - I usually ended up with a killer case of the munchies by the time I got to Sunset Blvd. After a couple of Jumbo Jacks and large fries from the Jack in the Box (still right there on the corner!) ...I would make my way up Sunset to the Fellowship Lake Shrine, just to sit or walk and just enjoy the peaceful surroundings there. The Lake Shrine was founded by Paramahansa Yogananda, on August 20, 1950 and is owned by Self-Realization Fellowship. It's pretty big, considering the price of land at Sunset and the Coast Highway...it's actually a 10-acre site with lush gardens and natural spring-fed lake, and is home to a variety of flora and fauna, including swans, ducks, koi carp, and beautiful lotus flowers. The entire property is a natural amphitheatre. It's pretty special, that's for sure! The grounds include the Mahatma Gandhi World Peace Memorial, where a portion of Gandhi's ashes are enshrined, a small museum with exhibits on Paramahansa Yogananda's work (more on this later), a Dutch windmill converted into a chapel and a gift shop with arts and crafts from India. As you walk along the trail surrounding the lake itself, eventually you will come to the "Court of Religions", featuring the symbols of the five principal religions of the world: a cross for Christianity, a Star of David for Judaism, a Wheel of Law for Buddhism, a crescent moon and star for Islam, and the Aum symbol for Hinduism. As a young Christian, I used to bristle a bit at this sight...I could never think that any religion but my own had any validity (or, even in my narrow way of thinking, "value") whatsoever! But the shrine has always had a certain draw for me, a certain magnetism, a certain...call it "peacefulness" that, as St. Paul says, "Passes all understanding". I found myself drawn there often. Having read Paramahansa Yoganandaji's Autobiography of a Yogi in college, I certainly got a good feel for what this great Indian guru's (spiritual master) teachings were all about. One could certainly not label it "Christianity", but his writings always seemed to contain some valuable wisdom, none-the-less. Yogananda is often seen as being the "father of yoga" for bringing his teachings to the West. Some of the things that he taught and said can clearly be placed into the context of living in anybodies practice of religion. And, hopefully, embraced. Like the great Mahatma Gandhi, or, Sikh Gurus Nanak, Ram Das and Sri Gobind Singh - Yogandandaji envisioned a world filled with people of all creeds living in peaceful coexistence with one another. This, as we can see by reading any morning copy of the newspaper, unfortunately rarely materializes on a grand scale in the real world. But Yogananda tried to nurture these pure ideas of his with actions as well as words. As St. Francis of Assisi said: "While you are proclaiming peace with your lips, be careful to have it even more fully in your heart." After looking at the over-priced trinkets and goodies (obviously, if I really want a bronze statue of Ganesha or Lord Krishna, I just may be able to pick one up a little more cheaply in Hyderabad, ya think??) - I walked through the gift-shop portion of the little building and into the back where the "museum" is located. It's not much to look at...quite a few photos of Yogiji with Mr. Goodwin Knight (who eventually was elected Governor of the State of California) at the 1950 dedication of the shrine...samples of some early black-and-white posters and fliers inviting people to come and hear Yogananda teach on yoga and the path of spirituality he liked to call "the art of living". Then...I saw it. There it was, under glass in a wooden display case. I'm sure it was the reason God called me to the Shrine this day. He wanted me to see something. And, here is the reason I wrote this blog so early in the morning today...I wanted to get it out of my head and out to the world. "Read, mark, learn and inwardly digest this book. Paramahansa Yogananda"
"BLESSED lord, which hast caused all holy Scriptures to bee written for our learnyng; graunte us that we maye in suche wise heare them, read, marke, learne, and inwardly digeste them; that by pacience, and coumfort of thy holy woorde, we may embrace, and ever holde fast the blessed hope of everlasting life, which thou hast geven us in our saviour Jesus Christe." I must say I was completely caught up in the continuity of it all...the synchronicity of me being there and seeing these words written by the hand of someone, who, although we may not agree upon every jot and tittle of our separate belief systems, can certainly agree that God is One, that He loves us...and He is most definitely beyond all human comprehension!! As you can hopefully tell, I was completely blessed by Wednesday's experience. I hope that, in some way, you may have been as well. 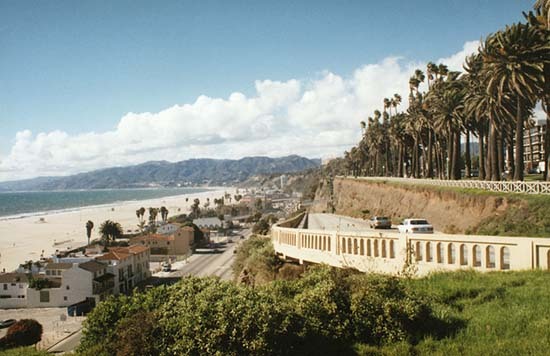 I went to this place on July 4, 1988 after seeing the 1 and only ever pre-dawn FIREWORKS that were held in Santa Monica (they were trying to avoid gang problems and tried it, though I don't think they did it again?) Who did I go with? A new boyfriend that became my husband in Feb '89. I had never ever heard of this place and felt that as Christians awkward... as in... were we allowed to be there? It was interesting that this guy, a Coptic Egyptian, knew of this place. And it was very beautiful and peaceful if I recall... one day I'll have to take Michael of the Desert (he's back in Vegas!) there when he come out for his visit.